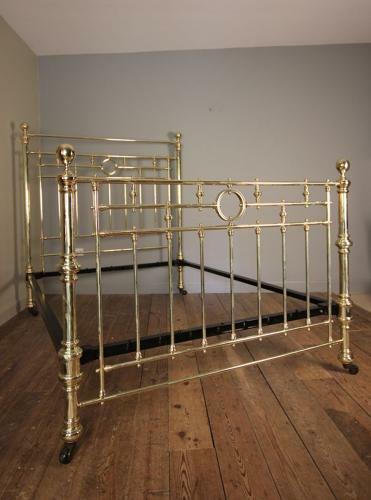 A lovely quality 19th century all brass bed, having a very classic design with large bed knobs and original castors. This rare size king size bed comes complete with original side irons and a wooden slatted base which will take a standard UK 5ft king size mattress. English, Circa 1870.